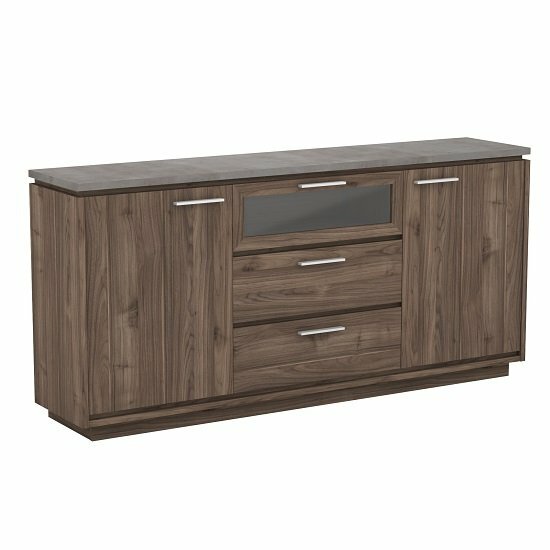 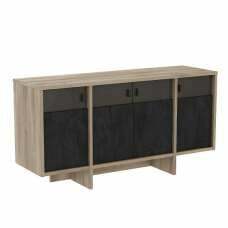 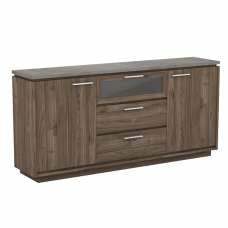 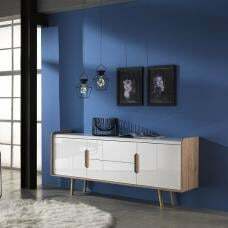 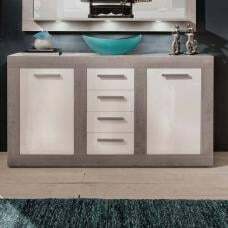 Antox Wooden Sideboard In Walnut And Light Concrete With 2 Doors And 3 Drawers, provide valuable storage space for your living room or Dining Room. 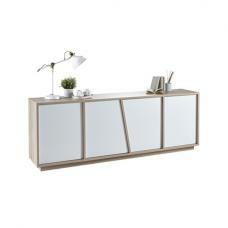 Crafted from particle boards 18, 22, 25 mm laminated with paper imitation in Walnut amb./light concrete. 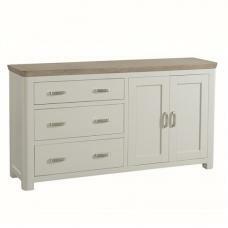 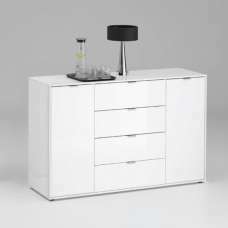 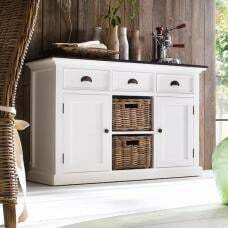 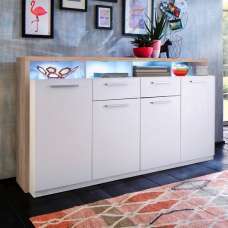 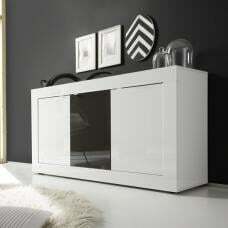 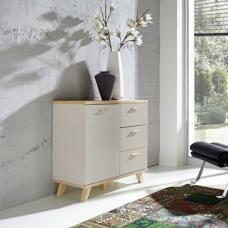 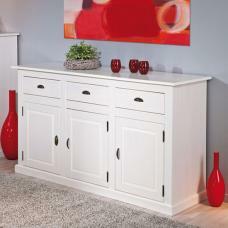 It features 2 doors, 1 tilt-out drawer and 2 drawers will provide plenty of storage space. 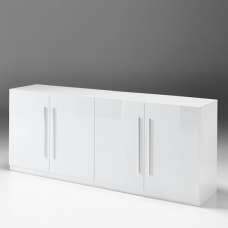 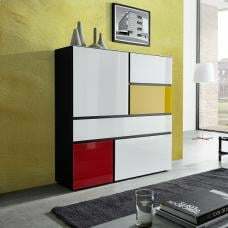 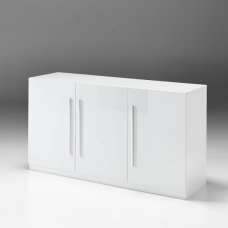 1+1 doors with 1+1 shelves adjustable on 3 levels, dimensions: 53x35 cm and 1+1 bottom surfaces, dimensions: 53x37 cm. 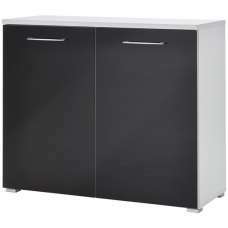 1 tilt-out drawer with 1 compartment, dimensions: 69x23x37 cm. 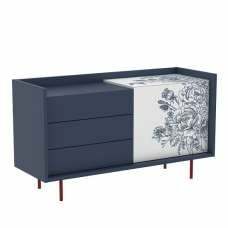 2 drawers, dimensions 65x20x33 cm.